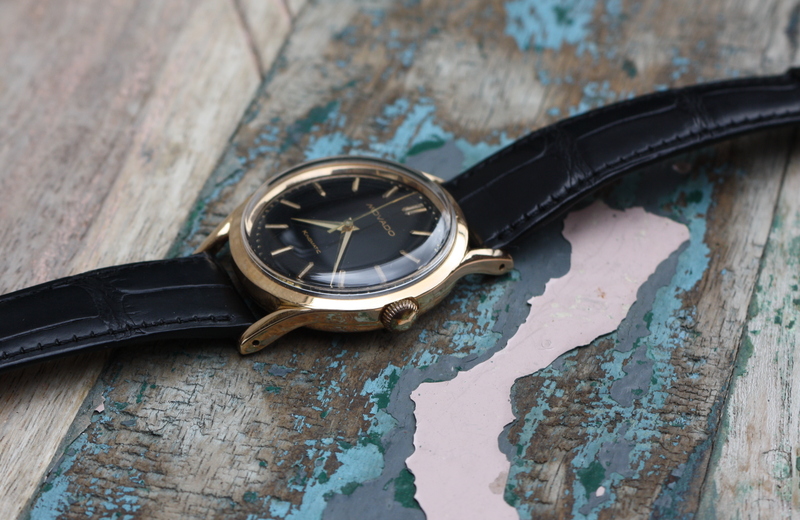 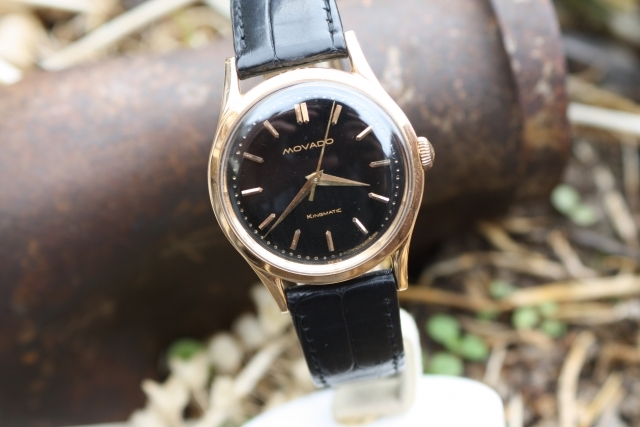 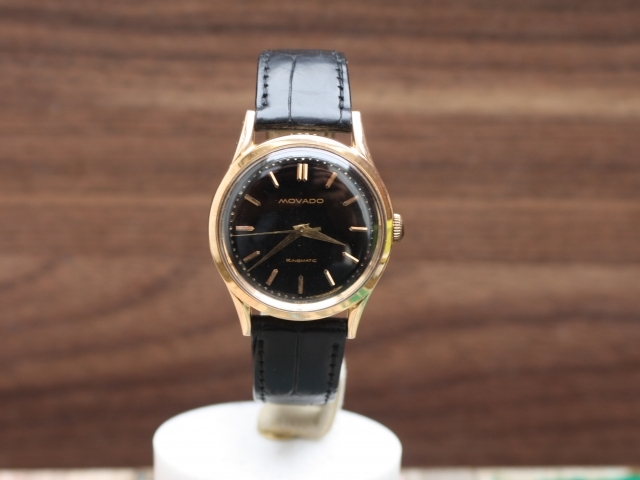 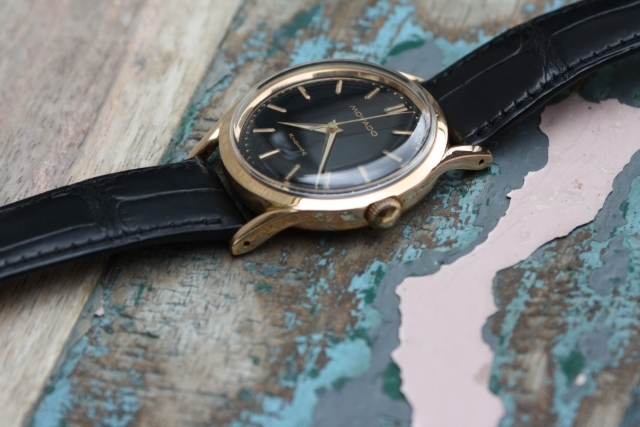 Very rare movado 35mm dresswatch in 18k pink / rose gold. The watch has an attractive black dial with gilt writing. 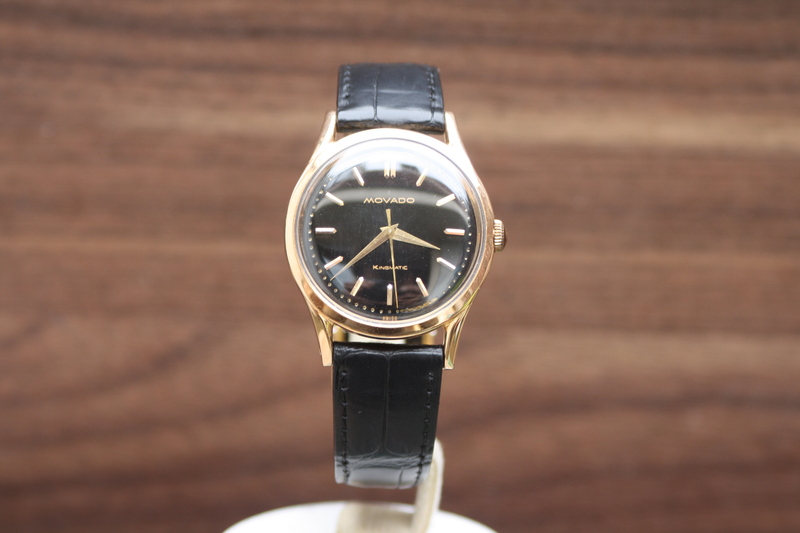 The dial is unrestored and in very good condition. 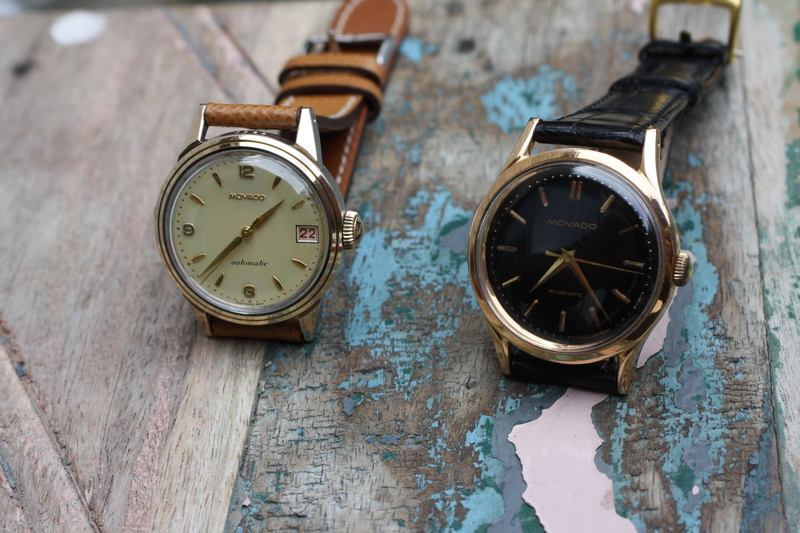 The dial shows a little loose of paint at the bottom, as we like our watches original and unrestored we decided to keep it in original condition. 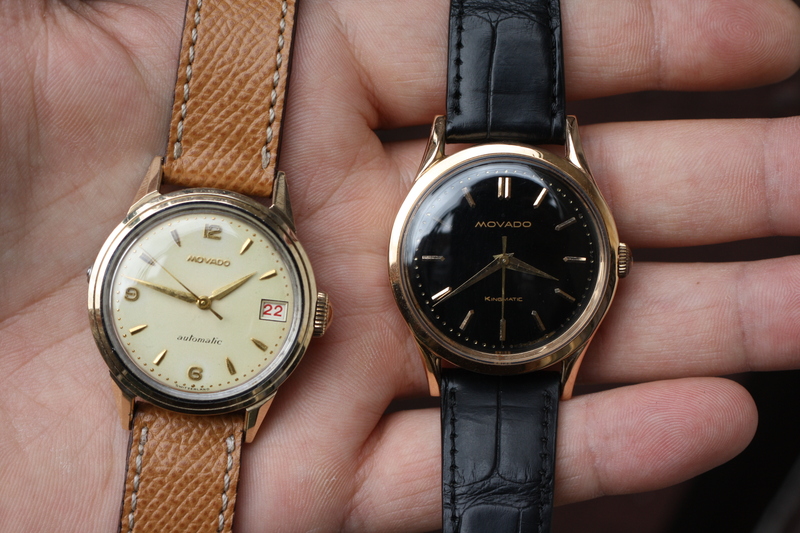 It has an automatic in-house movado movement. 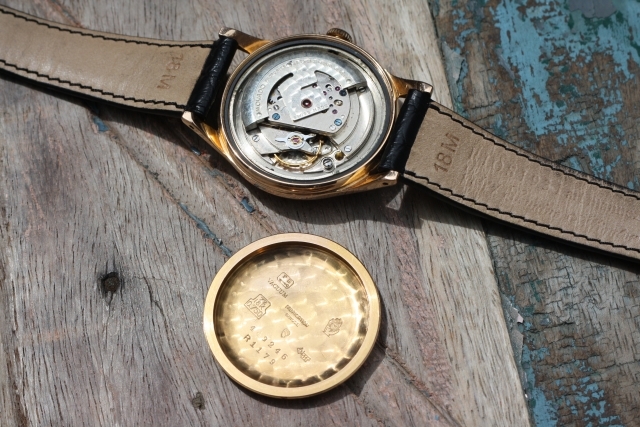 What makes the watch even more attractive is the pink gold screwed case which has been made by Francois Borgel. 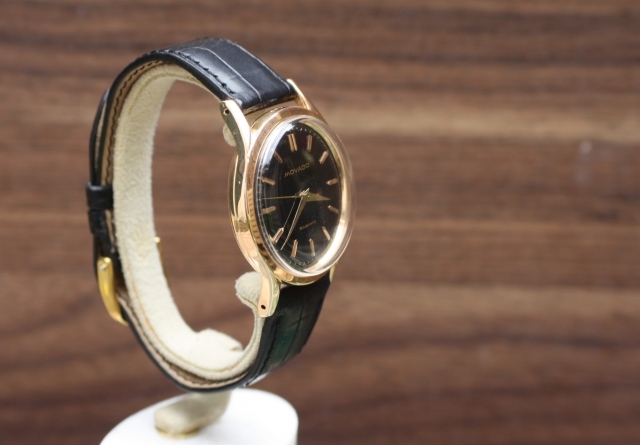 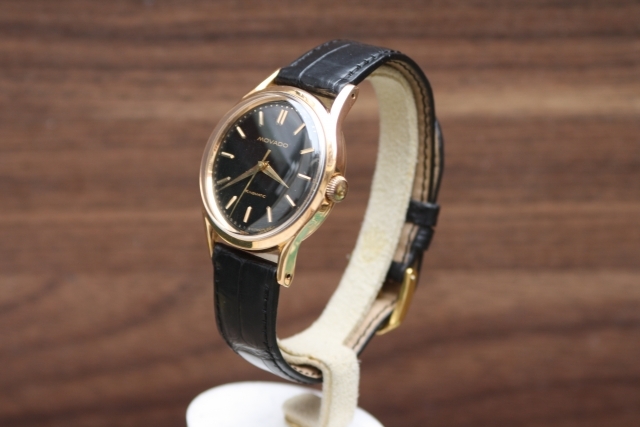 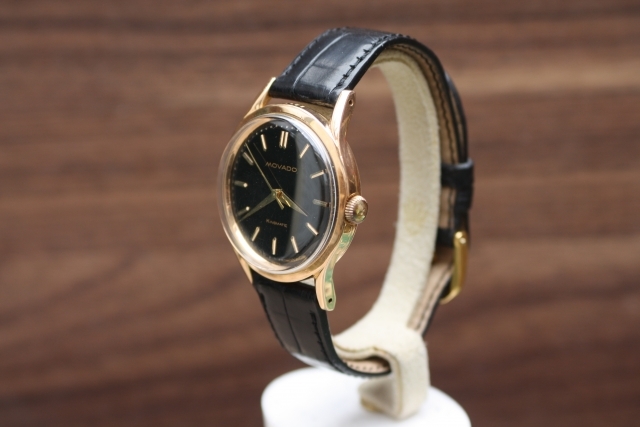 This casemaker was also supplier for Patek Philippe, thats also the reason the watch is very similar with the screw bottom Patek Philippe watches from the same era. 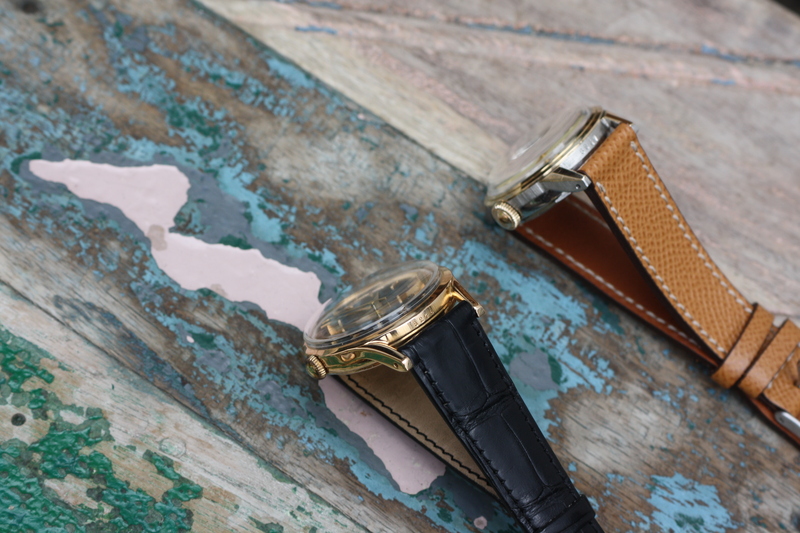 These cases can be recognized by the FB patent stamp in the caseback.